Jimi Hendrix was raised by a single mother because his father was fighting in the Second World War. But that was not all. His struggles truly began when he was sent to California because his mother started drinking and became unstable. However his father later returned in the year 1945 and divorced his mother and took things under control. This was the same time when Johnny Allen Hendrix became James Marshal Hendrix. This was when he came to be known as Jimi Hendrix. Yes, he wasn’t always born with that name. This 60s rock star might be known for his singing and guitar chords, but it was Hendrix’s father that had taught him how to pay the acoustic guitar. Jimi was later caught riding stolen cars and was given an ultimatum to either join the army or to go to prison. He of course joined the Army but later due to a broken ankle, he was honorably discharged off his services to the army. Later on he joined as a side man on the RnB circuit. He knew he was capable of more and never gave up on his dreams. Finally following his passion and dream he came to New York City to get that one break. Today this man is the history! The only thing that can be said about Purple Haze is that it has become a cult classic. It also featured in the movie called “Apocalypse Now”. It landed straight at number 7 on the Rolling Stone’s Magazine Tally. It is one of the 500 greatest songs of all time. There is a little confusion in the spelling. The US press misspelled it as “Foxey Lady” although it is originally named “Foxy Lady”. No matter how you name it, it is one of the best songs from his collection. One can hear the classic “Hendrix chord” in this song. Voodoo child is the last track in the final studio album and it has noteworthy guitar leads. It is known as one of the signature songs of the star. The song started to take birth right after they put an end to the 15 minute long Voodoo Chile and it is one of the best from Hendrix. Although Jimi Hendrix was one the biggest rock stars in history, this was his only song that landed in the Billboard top 100s list. This song has not even been written by him. But with Hendrix the song reached new heights and the writer himself agreed that Hendrix did justice to it. 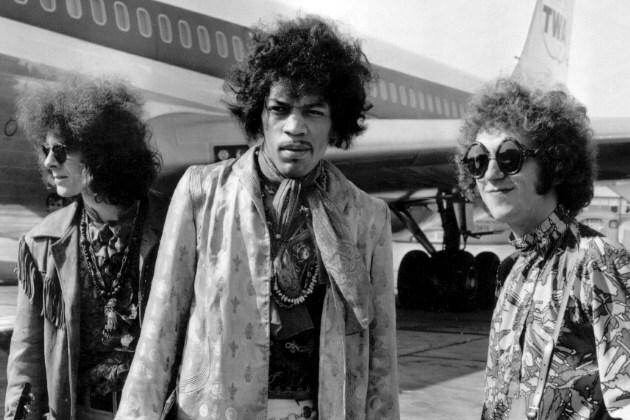 Little Wing is one of those songs that we remember Jimi for. This song was recorded with Jimi’s Leslie speaker. This is what makes the music so dreamy. The wave like echo parts make the guitar very interesting to listen to. It is created by famous musicians and the song definitely shows that. Jimi was popular for rock but one of the things that people underrated him for was soulful ballad. Soulful ballad is definitely one of the things that this man could do. if you listen to this song once you would know what we are talking about. Fire has been said to be one of his best songs so far. The lyrics combined with the jazz funk drumming will take you to another dimension altogether. Just close your eyes and listen to this song play and you would understand why Jimi was regarded as a master musician. It is a rarity that you have heard of the acid fuel blues and you haven’t heard this one. This song is known as the trademarked song for the acid fuel blues music. The fuzzbox distortion, the stereo panning and the echo are all working here to create a wonderful song. hey Joe is yet another beautiful song from “The Jimi Hendrix Experience”. Another song which he didn’t actually write himself but he created it wonderfully in his own tunes. Most rock lovers claim to have forgotten the original version when they heard this song in Hendrix’s tunes. This song captures more of the Earthy side of Hendrix. The guitar jamming is the portion where you will totally be mesmerized with the song. It was recorded over two nights. It is definitely one of the best songs and a must hear if you love “The Jimi Hendrix Experience”.